You are here: Home / LIFESTYLE / 5 February 2019 is Chinese New Year and it’s the Year of the Pig! But What Does It Mean? 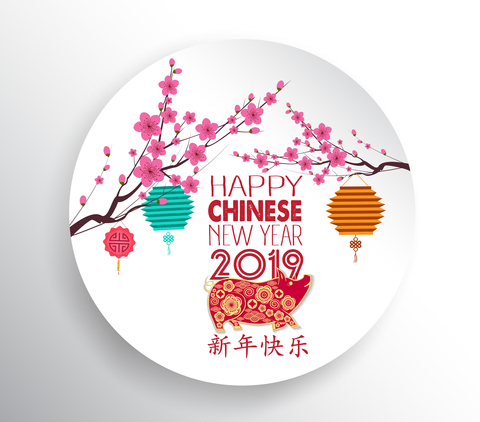 5 February 2019 is Chinese New Year and it’s the Year of the Pig! But What Does It Mean? Being honest, generous, sharing and caring will all be important attributes as we head into Chinese New Year tomorrow under the sign of the Brown Earth Pig according to leading spiritualist, Rose Smith. Rose Smith runs Absolute Soul Secrets, the largest psychic and spiritual network in the southern hemisphere and she says it’s a time to for people to apply a balanced energy to help you keep your feet firmly on the ground. “Those taking short cuts being selfish and intolerant will strike additional problems this year. The intentions of dishonest and selfish people are incompatible with the background feminine Earth Pig energy which enjoys positive social interaction and healthy community,” said Rose. Aries, Leo, Sagittarius: Get in touch with the burning desires of your heart. Gemini, Libra, Aquarius: Use your communicative abilities and mind to advance society. Cancer, Scorpio, Pisces: Call on Pig energy for positivity and balance in the physical world. Taurus, Virgo, Capricorn: Allow yourself to be inspired so you can inspire others. Rose has been running the Absolute Soul Secrets network of psychics throughout Australia and overseas for the past 19 years. Prior to that she worked as a counselor in a local women’s health centre and taught ethics and counseling at Southern Cross University. Rose has completed a Master of Business Administration (MBA) from the University of Canberra and has a degree in psychology.